In a ranch south of Texas, the man known as The Executioner dumps five hundred body parts in metal barrels. In Brazil's biggest city, a mysterious prisoner orders hit-men to gun down forty-one police officers and prison guards in two days. In southern Mexico, a crystal meth maker is venerated as a saint while imposing Old Testament justice on his enemies. A new kind of criminal kingpin has arisen: part CEO, part terrorist, and part rock star, unleashing guerrilla attacks, strong-arming governments and taking over much of the world's trade in narcotics, guns and humans. Who are these new masters of death? What personal qualities and life experiences have made them into such bloodthirsty leaders of men? What do they represent and stand for? What has happened in the Americas to allow them to grow and flourish? Author of the critically acclaimed El Narco: Inside Mexico's Criminal Insurgency, Ioan Grillo has covered Latin America since 2001, and gained access to every level of the cartel chain-of-command in what he calls the new battlefields of the Americas. Moving between militia-controlled ghettos and the halls of top policy-makers, Grillo provides a new and disturbing understanding of a war that has spiralled out of control - one that people across the political spectrum need to confront now. 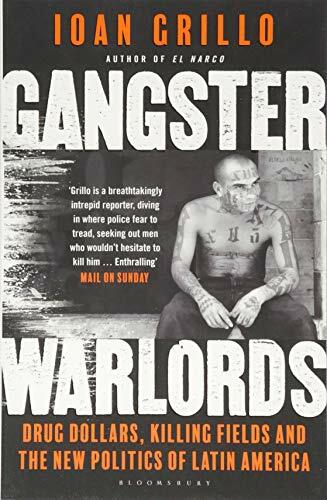 Gangster Warlords is the first definitive account of the crime wars now wracking Central and South America and the Caribbean.